We currently have a used unit in very good condition. 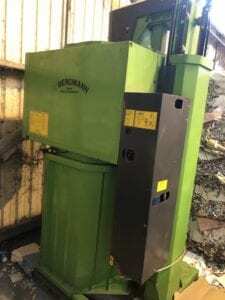 This German made Bergmann Rotary Compactor is ideal for companies with limited space. Waste items are crushed by a rotating steel drum into a heavy duty bag. Compaction ratios of up to 10:1 are achievable. Available for purchase at £4,500 or can be rented at £75 per week including maintenance.